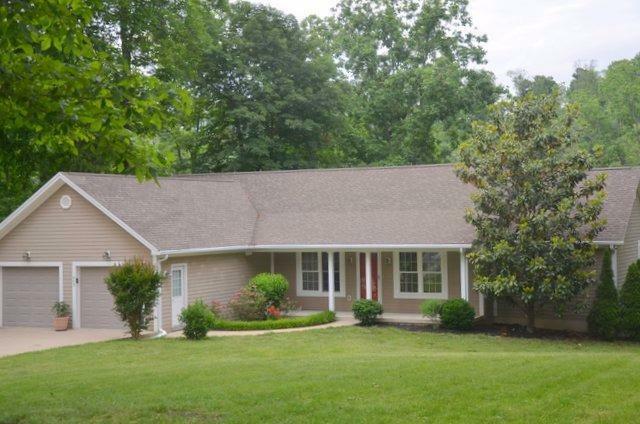 Beautiful ranch on full basement with path to the lake access. This home is perfect for someone wanting to live on the lake year round, or a great weekend retreat. 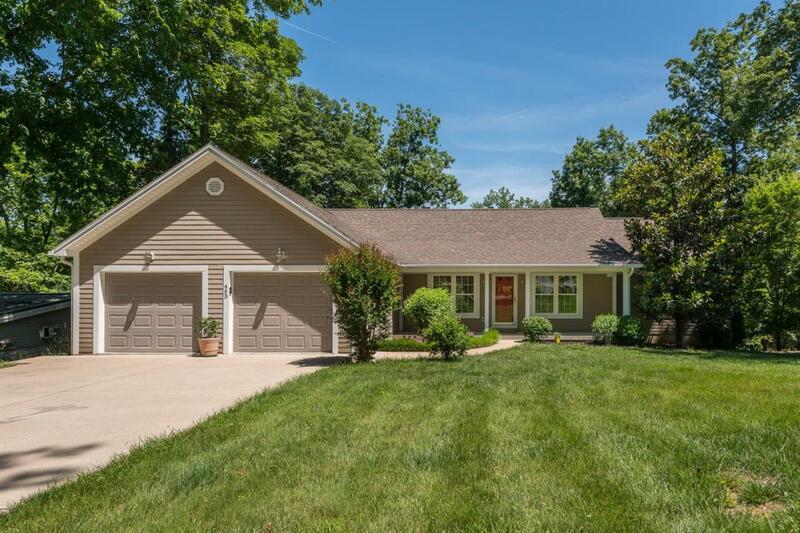 Home features 4 bedroom, 3 full baths, 2 zone heating, custom cherry cabinets, 14 foot island with center sink. Dining area situated so everyone can enjoy the views of the trees and lake. 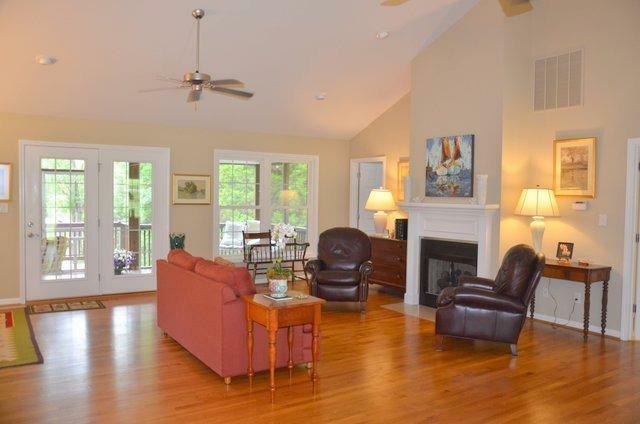 Family room features vaulted ceiling and fireplace w gas logs. There is a large screened porch with plenty of room for dining and a full size hammock. First floor has 2 large bedrooms with adjoining baths. Both bedrooms have abundant closet space. First floor utility / mud room offers custom cherry cabinets, utility sink with washer dryer hook ups. Lower level features large family room, fireplace with gas logs, sitting area with great view of the lake, work out area, exterior doors leading to patio with steps to screen porch above or walk to water. 1 Yr HMS warranty w/accepted offer. 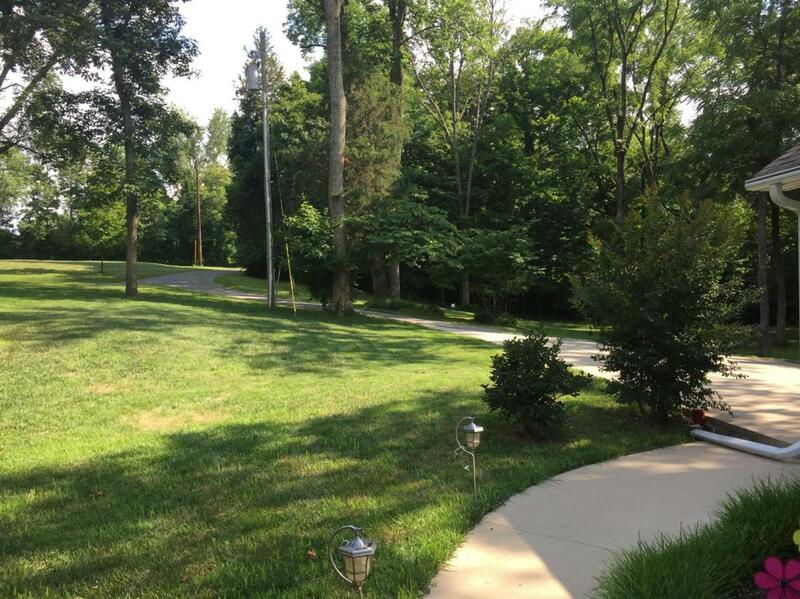 Seller is licensed real estate agent in Kentucky. Listing provided courtesy of Diana Lashley of Rector Hayden, Realtors. Listing information © 2019 LBAR Multiple Listing Service. All rights reserved.